NO 15. 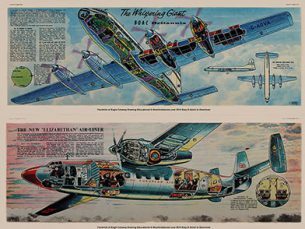 New efficient turbine-propeller aircraft turned into luxury air-liners, flying on all the long routes all around the world. New efficient turbine-propeller aircraft turned into luxury air-liners, flying on all the long routes all around the world. With the last of the piston-engined air-liner the Elizabethan.